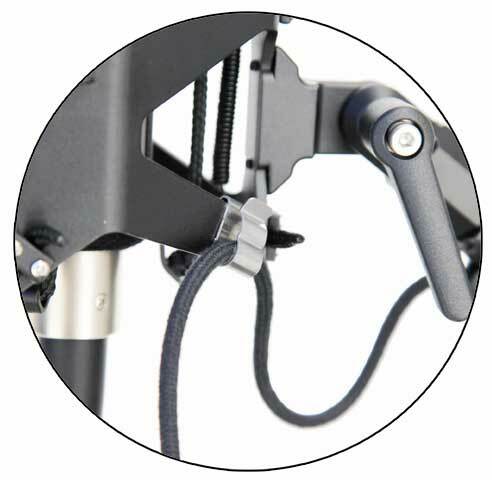 “…I have yet to find an instance when it (the Sling-Shock) didn’t improve the performance of my recording. 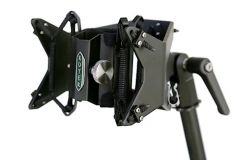 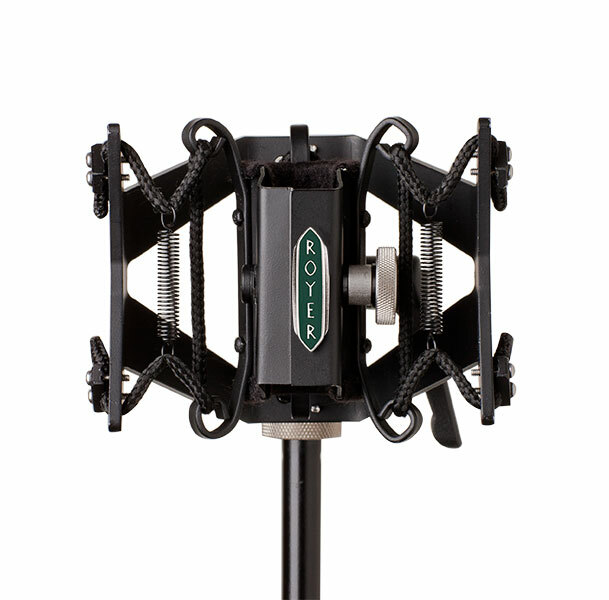 …floor vibrations are common in drum rooms (when not on a concrete slab) and the Sling-Shock does a fantastic job of eliminating them without cutting into the body of kit’s sound. 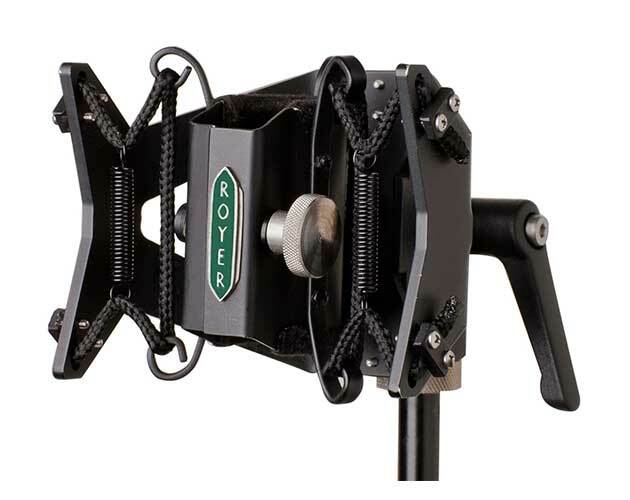 My favorite application is using the Sling-Shock with a Royer R-122 on electric guitar. 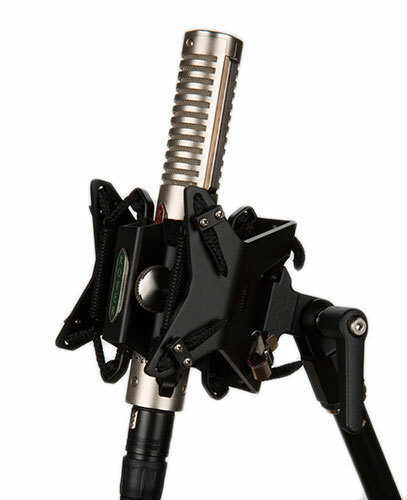 The R-122 already has a tight bottom end but the low-frequency clarity and fullness is even better with the Sling-Shock. 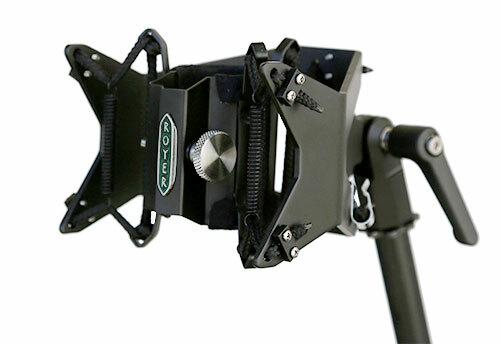 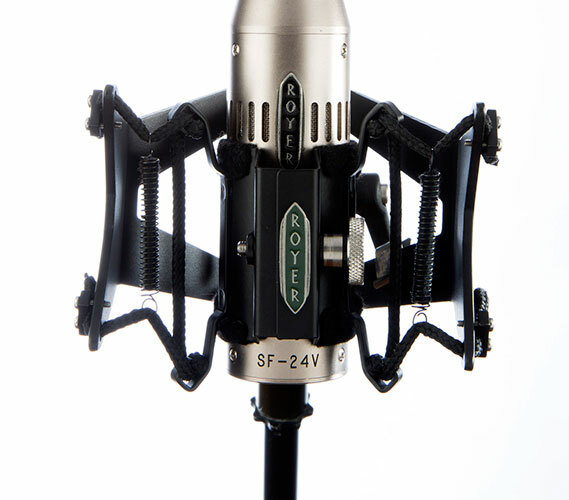 The Sling-Shock RSM-SS1 is sized to fit Royer’s 1-inch diameter ribbon mics; R-121, R-122 MKll, R-122V and SF-12 ribbon microphones. 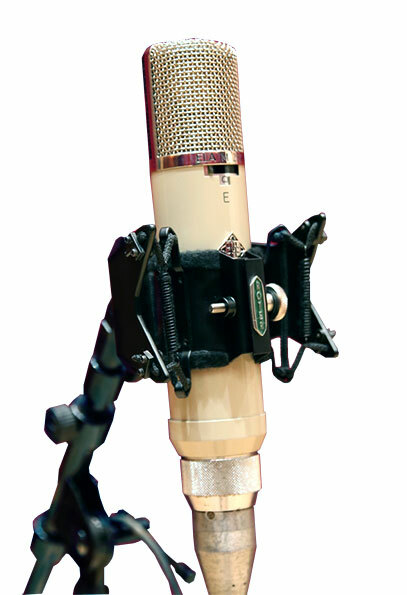 The RSM-SS1 will work with any cylindrical microphone measuring approximately one inch in diameter (+/- 1/8 inch). 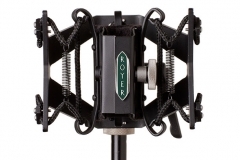 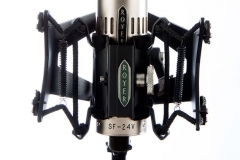 The RSM-SS24 accommodates Royer’s SF-2, SF-24 and SF-24V microphones, and any cylindrical microphone measuring approximately 1 ½ inch in diameter (+/- 1/8 inch). 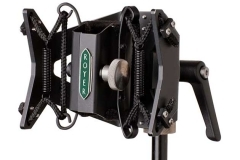 The RSM-SS251’s two-inch (50mm) diameter chamber accommodates a number of non-Royer microphones, including ELAM 251s, U-67s, U-87s and other similarly sized microphones.